Recently Netflix rolled out an update for its Android app that is blocking many rooted and even some unlocked Android devices. The update went out in the last 24 hours, and if you are running an official version of Android you have nothing to worry about. It’s anyone who decided to root their devices that may be having issues. If you have a rooted unofficial version of Android, you may find the Netflix app being listed as not compatible with your device. This seems to have hit the so called “Kodi Boxes” hard, because many of them—but not all—run a rooted version of Android. Now not all rooted versions of Android seem to be effected but most we have tested have been blocked. The question now is will other services also be making this jump. If so how will the loss of access to Netflix and maybe other apps on unlocked devices effect the sale of some Android-powered so-called “Kodi Boxes.” For now we will have to wait and see. The Xiomi Mi Box that I have still plays Netfix ok. At least this morning. However, it is not rooted or altered. Then the Custom service person that told you that is an idiot. But this is not the first time that I’ve heard that someone contacted Netflix and be told the same thing. Someone with a Shield TV was told the same thing back a few months ago when they contacted Netflix support. As well, if that’s not enough, you can provide them with you Netflix ESN which can be found under Settings/About. Did you buy your Xiaomi Mi Box directly from Wal-mart? If not, you may have the model for Asia instead of the model for North America. While I understand the need to fight piracy, this effort by Netflix (although a start) will not deter piracy as the illegal sources of pirated content is from file-sharing server sites. So, even if you can’t run Netflix directly you can side load the .apk (as already mentioned) or you can simply watch the content from the file sharing sources from within Kodi repositories. For blocking efforts to be effective you need to go after the file-sharing sources and not an individual app. Remember MegaShare and others that have been shut down? The other problem is that you shut down one and 4 others pop up in its place. Now, in all fairness to Kodi, Kodi is just an open-source platform with a lot of legal content and repositories. Maybe they need to focus on blocking the illegal repositories. But since Kodi is an Open Source community driven collaboration project it is difficult to have Kodi developers enforce blocking piracy efforts. 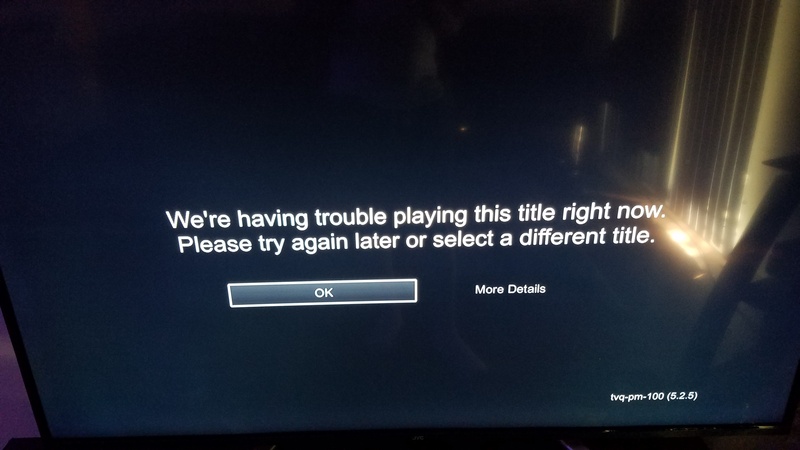 This will just deter people from paying for Netflix. Exactly this is a stupid waste of time only shows their flawed thinking Nothing about this stops piracy. Only piracy that also pays for Netflix. Seems like shooting oneself on the face out of spite. Pays to have two boxes…. Why try to block paying customers, who also do other things. Guess what they could probably easily quit paying for your service too. Silly Netflix silly.